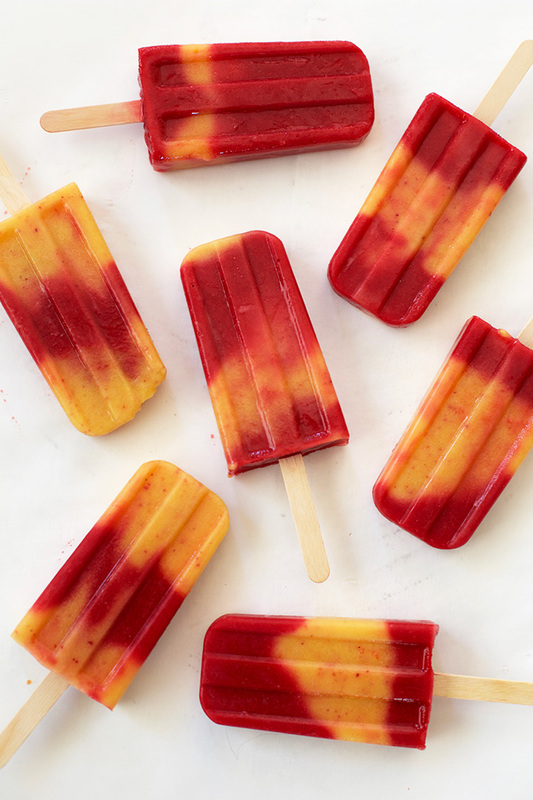 These raspberry peach popsicles are what popsicle dreams are made of! 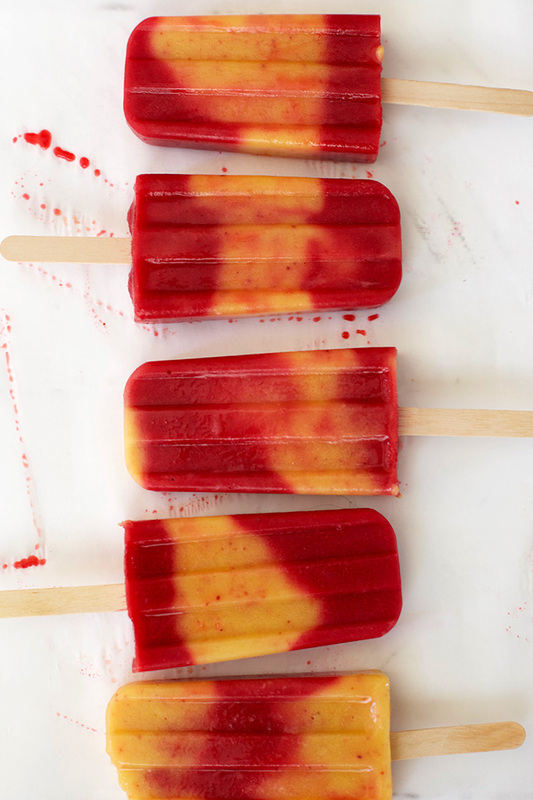 With heat advisories off and on all throughout summer, smoothie popsicles are my lifeblood. When it’s 110-120 degrees outside (literally), popsicles are basically my best friend/reason for living. As far as flavors go, I don’t get bored super easily, but I love experimenting with new combinations so often that it seems I always have a new favorite. 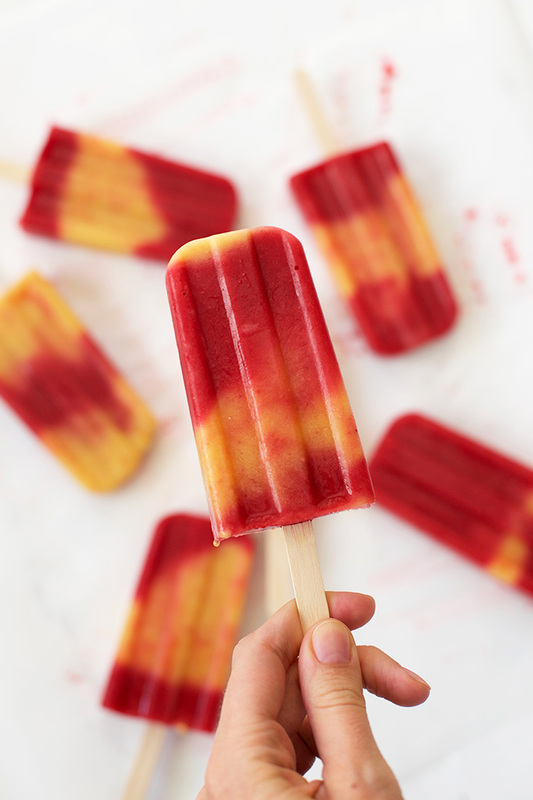 After the swirled Lava Flow Popsicles I made last year last year, I did some more swirl combinations, and these Peach Julius Raspberry Swirl popsicles are my favorite of the moment. Creamy, dreamy peach with a kiss of vanilla and a bright, tangy raspberry swirl are what dreams are made of. 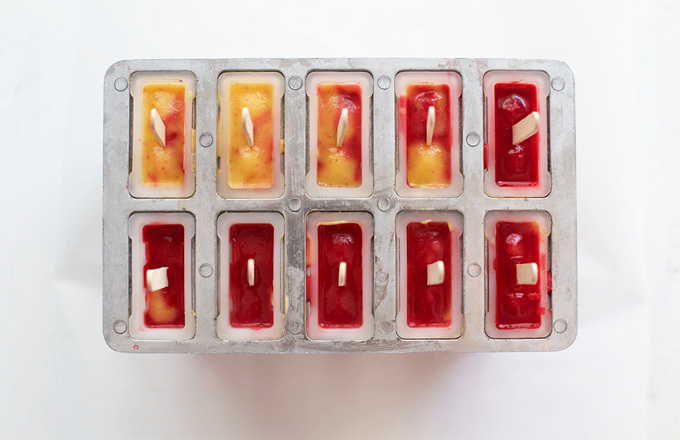 Popsicle molds – I feel like I’m on repeat here, but if I can only recommend one popsicle mold, this is my favorite. The lid holds the sticks in place which means nothing’s slipping around once that freezer door is shut or a bag of peas suddenly shifts. It’s also just right for this bigger batch of popsicles. Fresh or frozen – Don’t worry about whether you’re using fresh or frozen fruit. Use what you have on hand (or a combination). I really love freezing my own fruit when it’s on sale and at the peak of its season for the best quality frozen fruit, but Costco comes through for me on the regular with their giant bags of organic produce. I love both. Also note that if you’re using fresh fruit, you’ll likely not use quite as much liquid, which might mean you end up with 1-2 fewer popsicles. p.s. not a peach fan? Mango is also awesome! 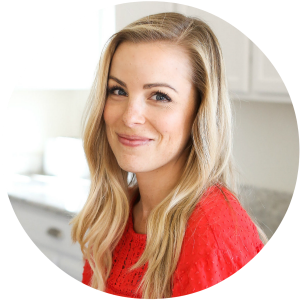 Sweet or Sweeter – The amount of honey (if any) that you’ll use in this recipe is entirely dependent on your own tastes and the natural sweetness of the fruit. If I’m using a juicy fresh peach at its peak, there’s a good chance that it’s sweet enough on its own, whereas a bag of frozen peaches that might be slightly underripe could use a bit more. Ditto for raspberries. Some batches are more tart than others. Let those trusty tastebuds guide you! Place all ingredients into a blender and puree until smooth. Taste and add honey as needed, blending well to combine. Set aside. Place all ingredients into a blender and puree until smooth. Taste and blend in additional honey, as needed. For the smoothest texture, strain raspberry layer through a fine mesh sieve to remove the seeds. 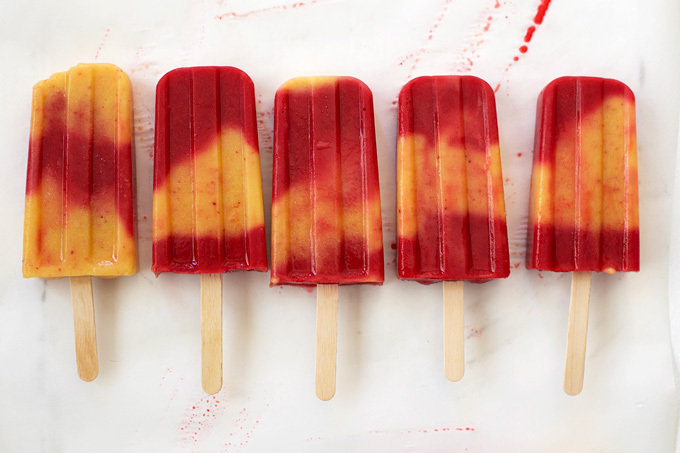 Alternate pouring peach and raspberry smoothie mixtures into the popsicle molds. For more distinct layers, use a funnel or spoon to gently add the mixtures. If you pour straight from a blender or liquid measuring cup, they’re more likely to combine. Freeze at least 3-4 hours, or until completely firm. That looks absolutely delicious ! It’s been so hot down here in Australia, I’ll have to try that recipe!